The best POS for business. Symbiotic has been in the point-of-sale business for over 30 years. We know about POS and what a small business wants. Lightspeed is the leading provider of cloud-based and onsite POS software. Our customers are impressed when they see a significant growth in sales once they start using LightSpeed. It’s never too late to improve your business by joining up to clever LightSpeed POS and the growing list of independent businesses that choose Lightspeed POS to compete at much lower cost with mass merchants’ systems. 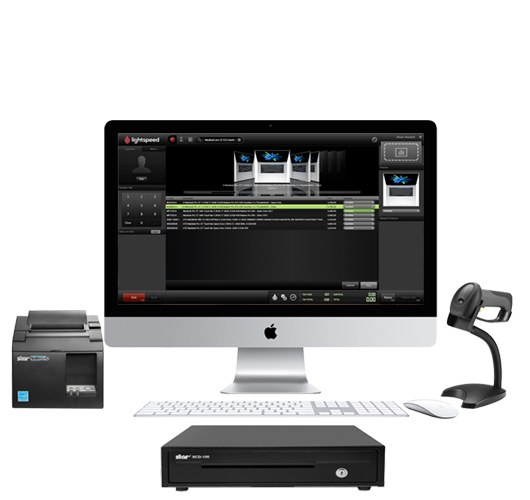 Lightspeed OnSite is for those users who wish to control their hardware and software in-house and keep most of their business offline and stored locally. If you don’t need a full-on POS solution, we also offer POS on iPad, called POSiSales, for a business that needs a lightweight POS solution that is flexible and very inexpensive.